easy to use in a single process. Working with MikroSnap is fast and simple, just as you wish a tool to work. Drag pictures from MikroSnap to another application for post-processing. Straightforward use of multiple USB-Cameras on a Windows-PC. MikroSnap is a software to capture images from a single or multiple connected video capture devices for saving or transfer to any other post processing picture software. The software provides a intuitive simple to use Interface for selecting a capture device and live watching. 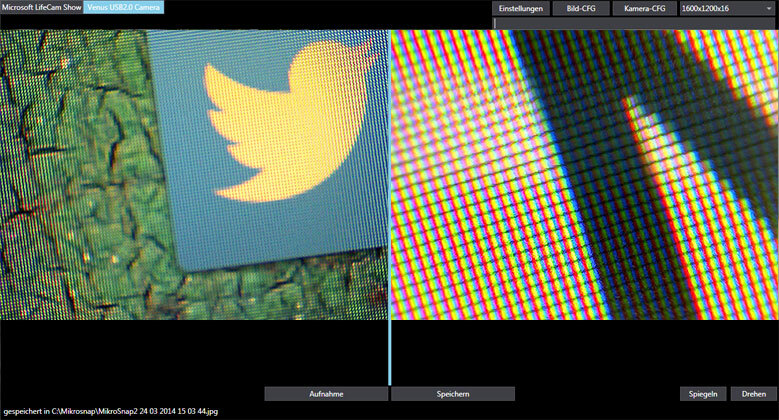 With a single click or keypress the displayed image will be saved and provided for further analysis or post processing. The software does not perform diagnosis or editing tasks but capturing and managing multiple capture devices. Pictures taken with MikroSnap will not be altered so later postprocessing will not be limited or reduced. MikroSnap is availabe in two versions. The Free version is available for free but with a reduced feature set. 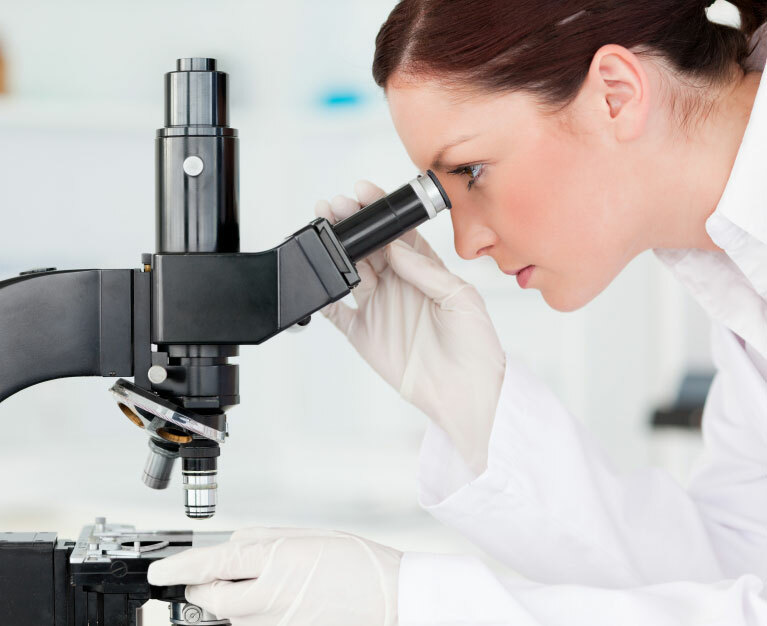 It is preferred for hobby usage or testing compatibility of your microscope with the software. The Free version is available in the download section. The Pro version has the complete feature set for professional use. Note: Please try the free version before making a purchase, to find out if Mikrosnap collaborates with the drivers of your microscope. After the successful Paypal transaction you will be directed to the download page. Do not close the window before! Continuous documentation helps prevent liabilities in cosmetics. 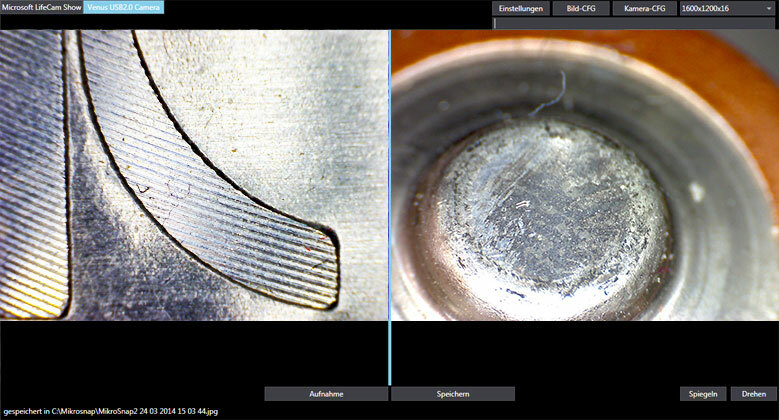 MikroSnap assists with deposition and correlation of photos to customers. 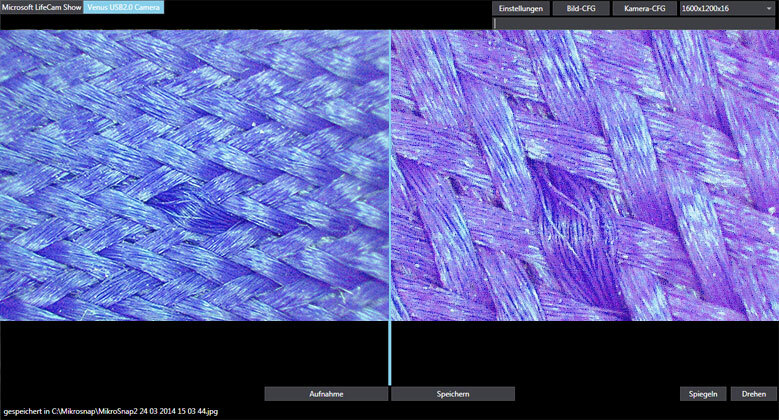 Deliveries of textiles can easily be analyzed with a USB Microscope. MikroSnap supports documentation of the results. 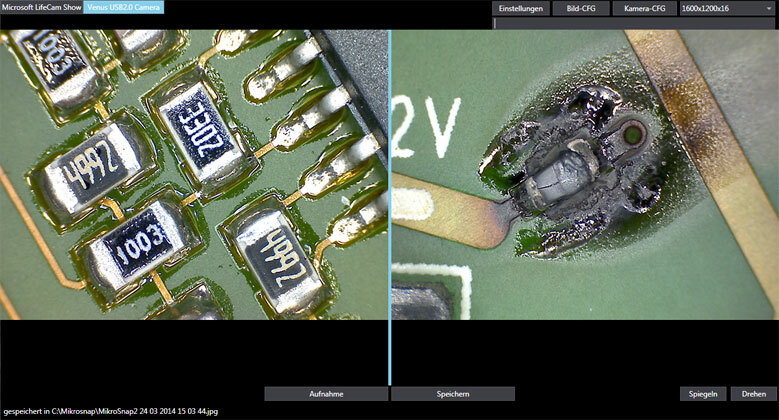 Combined with the proper filename the quality control photo can be found easily on demand. On the packing table a picture of all packed articles is taken. With a barcode scanner the deliveryslip- or billnumber with date and time will be imprinted in the snapshot. For traceability and documentation of quality ensurance consitently created photos are needed. The photos can easily be added to a quality ensurance software by using drag and drop saving complicated saving and importing. Reference text and time stamps will automatically be imprinted in the snapshots. Museums or commited collectors have the ideal tool for extending their inventory lists. Because MikroSnap supports multiple cameras and microscopes at once, photos of large totals as well as enlarged details can be taken easily. 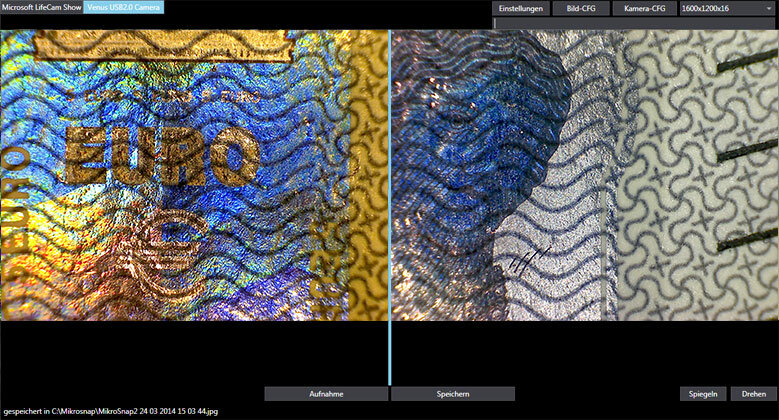 In connection with the barcode scanner feature assigning the pictures to objects will be fast and easy. For a free download please provide your email address. * We will inform you about updates of this software only. Removal from this list is always possible.